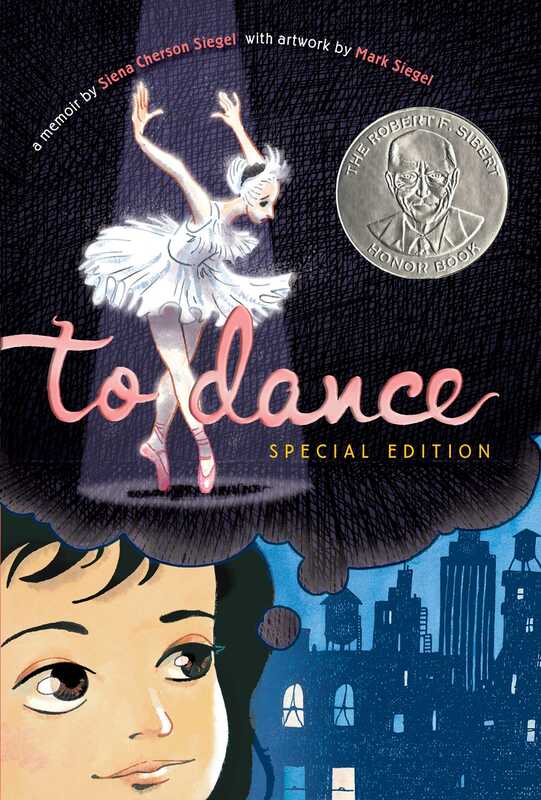 A beautifully refreshed and expanded special edition of the Sibert Award­–winning graphic memoir about the dreams and realities of becoming a ballerina. Ballerinas are young when they first dream of dance. Siena was six—and her dreams kept skipping and leaping, circling and spinning, from airy runs along a beach near her home in Puerto Rico, to dance classes at the School of American Ballet, to her debut performance on stage with the New York City Ballet while working with ballet legend George Balanchine. Part family history, part backstage drama, this beautifully updated graphic memoir—which features a refreshed design and a brand-new scrapbook of Siena’s mementoes—is an original, firsthand look a young dancer’s beginnings. Siena Siegel is an author and former dancer who trained at the School of American Ballet. To Dance is her story. Mark Siegel is the author and illustrator of several award-winning picture books and graphic novels, including To Dance, Moving House, and Sailor Twain. His latest project is the collaborative graphic novel series 5 Worlds, an epic science fiction story for young readers. In addition to writing and illustrating, Mark is also the founder, and creative and editorial director of First Second Books, Macmillan’s graphic novel house. The Siegels live in Tarrytown, New York. Visit Mark at MarkSiegelBooks.com.